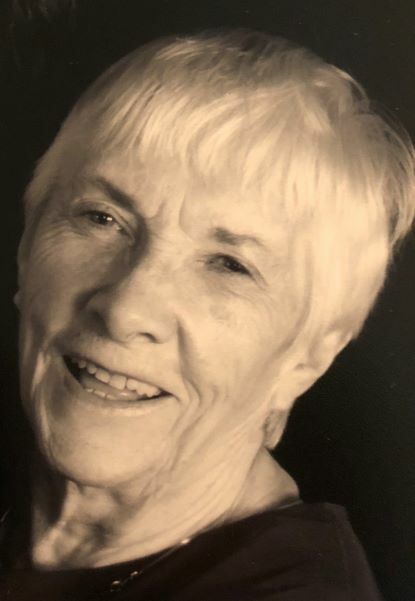 Noreen Donoghue — Riverdale-on-Hudson Funeral Home, Inc. It is with great sadness we announce the passing of our mother, Noreen Donoghue (née Sugrue), 88, on February 23, 2019, in New York City. Noreen was born in Knocknagoshel, a village in County Kerry, Ireland. Noreen came to New York as a 17 year old in 1947 and became an American citizen while working as a bookkeeper. Her life was changed forever when she met the love of her life, John P. Donoghue, at an Irish dance in Inwood. They were married in 1957 at Good Shepherd Parish, had their children, Edward and Marie, and moved to Riverdale, where she lived for over 50 years. She was an active parishioner at St. Margarets, a charter member of the Riverdale Irish Society and a member of the order of St. Francis. Her quick wit and joyful laughs were her calling cards. She had many wonderful friends and was a wonderful friend to many. After John predeceased her in 1983, she remained the bedrock of her family, supporting her children without limit. She will be greatly missed, but no doubt she and John are dancing in heaven. Viewing will be Monday February 25, 2019 at Riverdale-on-Hudson Funeral Home from 2-4 PM and 7-9PM, funeral services will be at St. Margaret of Cortona Church on Tuesday February 25, 2019 at 9:45 AM. Interment will be at St. Raymonds Cemetery. In lieu of flowers, the family requests considering donating to Covenant House, an organization Noreen supported for over 45 years.